Ethiopian Airlines, the fastest growing airline in Africa, is pleased to announce that it has finalized all the ground work to add South America, the fifth continent in its route network, with the launching of new services to Sao Paulo and Rio de Janeiro, Brazil as of July 1, 2013. Ethiopian flights to Brazil will be operated through its second hub in Lomé, Togo, three times a week. 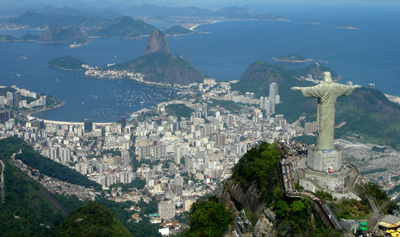 The addition of Sao Paulo and Rio de Janeiro will bring the number of its international destinations across five continents to 74. The flights will be the only connection between West Africa and Brazil. Ethiopian and its partner airline in West Africa, ASKY, will be coordinating their schedules to give short, seamless and convenient connections to West Africa passengers travelling to and from Brazil. “We are very pleased to announce to our customers that Ethiopian will soon spread its wings to South America. The China-India-Africa-Brazil trade lane is the fastest growing in the world. Our new Brazil flights will provide efficient connections with 28 weekly flights to 4 destinations in China, 14 weekly flights to the 2 major cities in India, daily flights to Lebanon, five weekly flights to Tel Aviv and almost daily flights to 45 cities across Africa. Our customers on this new route will also enjoy the unique cabin products and features of the global technology leader aircraft, the 787 Dreamliner.” said CEO Tewolde Gebremariam. “The start of our operations will greatly facilitate people-to-people interactions between Brazil and the rest of the world. The various communities throughout the world with strong ties to Brazil will be able to enjoy smooth and convenient connections”, added CEO Tewolde Gebremariam. Passengers to and from Sao Paulo and Rio de Janeiro will be able to get convenient connections to destinations in Ethiopian wide route network such as Lomé, Kinshasa, Rwanda, Maputo, Abidjan, Nairobi, Lagos, Tanzania, Dar es Salaam, Cairo, Beirut, Tel Aviv, Beijing, Hong Kong, Hangzhou, Guangzhou, Mumbai and Delhi. Ethiopian is a multi-award winner for its commitment and contributions towards the development and growth of the African aviation industry and in recognition of its distinguished long-haul operations enhanced by the introduction of new routes and products. Recently, Ethiopian won “Airline Reliability Performance Award” from the Bombardier Aerospace; “African Airline of the Year Award” from Air Transport Quarterly Magazine; “Transformation Award 2012” from Planet Africa Network; “International Diamond Prize for Excellence in Quality” from the European Society for Quality Research (ESQR). Also Captain Desta Zeru, Vice-President of Flight Operations, won “Africa Legend of Travel” award from African Travel Quarterly (ATQ) magazine; and Ethiopian Airlines CEO, Tewolde Gebremariam, won “African CEO of the year” from the African CEO Forum as well as “African Business Leader of the Year” award from the Corporate Council on Africa (CCA). እውነትም “ያለበት” ይገንበት እንዳይሆን ?